Imagine you own a cabin in rural Maine. You hear legends of a mythical creature that lurks in the shadows and breaks into people’s homes. Suddenly, you notice food missing from your pantry. Even some clothes. Although there is no proof of a break-in, you can’t help but feel that something is amiss. This is the sort of terror that the residents of North Pond lived in for nearly 30 years. But in 2013, the unbelievable truth finally unraveled. In the late ’80s, something strange was happening to the community of North Pond, Maine. Residents found batteries missing from flashlights and certain food missing from their refrigerators. Propane tanks that were believed to be full were suddenly completely empty. Families kept pointing fingers at each other. They were sure none of them would do anything so trivial, which only added to the confusion. People drove themselves crazy trying to find an explanation to these mysterious happenings. Inexplicable occurrences like these would continue for decades. Soon, things started getting menacing. Residents would notice little details, such as scratch marks on doorframes and chipped wood next to window locks. More things went missing. It was clear that North Pond was being burglarized. People changed their locks and installed security systems to no avail. They didn’t know if it was one person or a group of people that were committing these crimes and worse, if they were dangerous. For almost 30 years, North Pond residents felt haunted by something or someone, but they didn’t know what or who. The citizens of North Pond were as vigilant as they could be. North Pond is a rural area, however, and permanent residents didn’t live close enough to each other to be able to catch anything. Other cabins in the area were vacation homes that were vacant a majority of the time. Even more peculiar than the mysterious robberies were the items that were being stolen. Batteries, kitchenware, clothes, books, magazines, and junk food were always reported missing. But items of immense monetary value were never taken from these homes. Local authorities tried everything to catch the North Pond Hermit over the years. 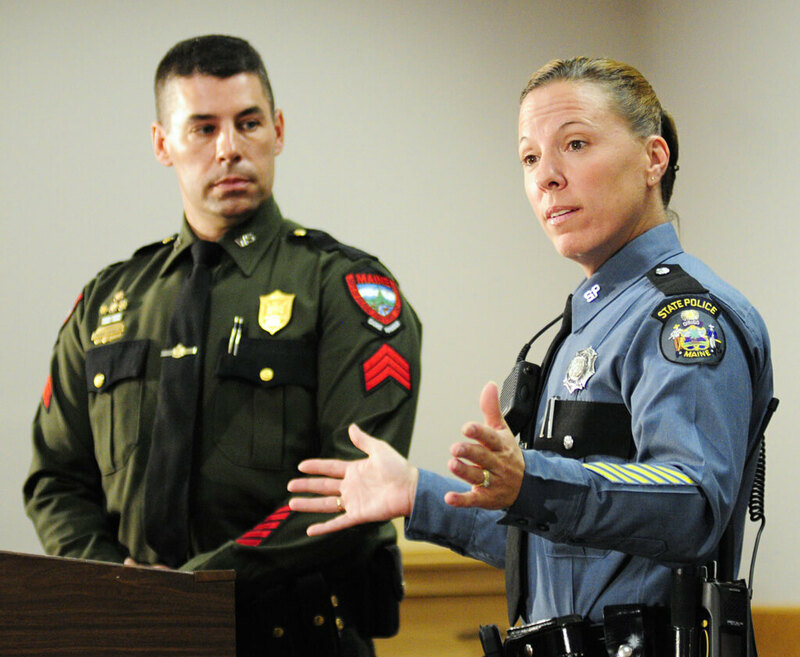 Two county sheriff’s departments, the Maine state police, and even the game warden service conducted foot searches, flyovers, and even dusted fingerprints with no luck. 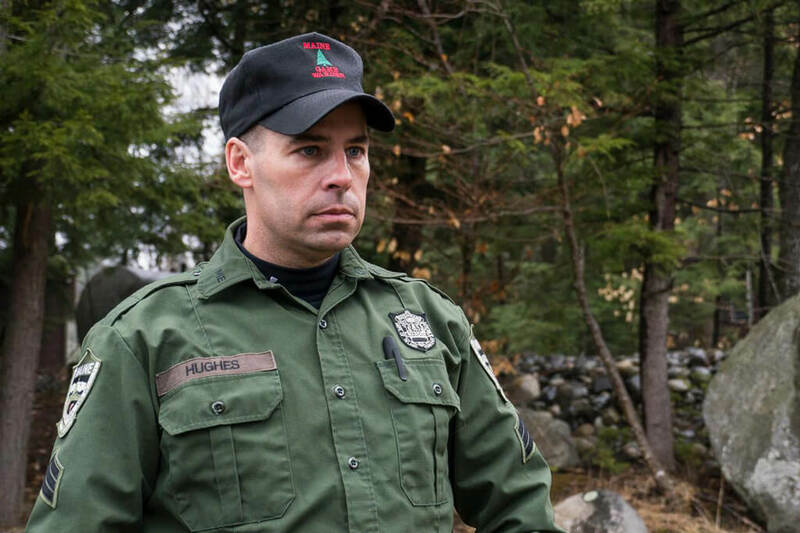 But after so many years, Maine game warden Sergeant Terry Hughes became obsessed. He was determined to catch the hermit. 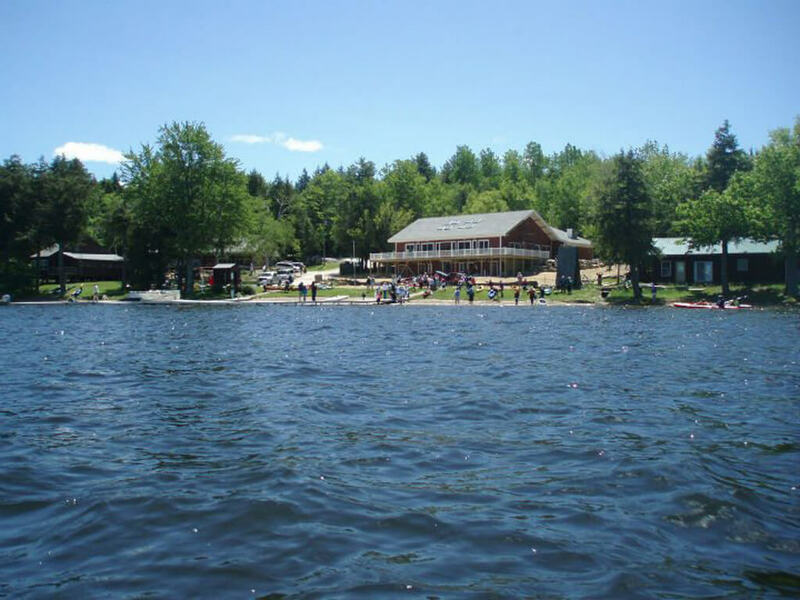 With the help of border patrol agents, he installed top secret Homeland Security equipment at the Pine Tree Camp at North Pond where he often volunteered. Sure that the hermit would strike their kitchen in the off-season, he waited for about two weeks. 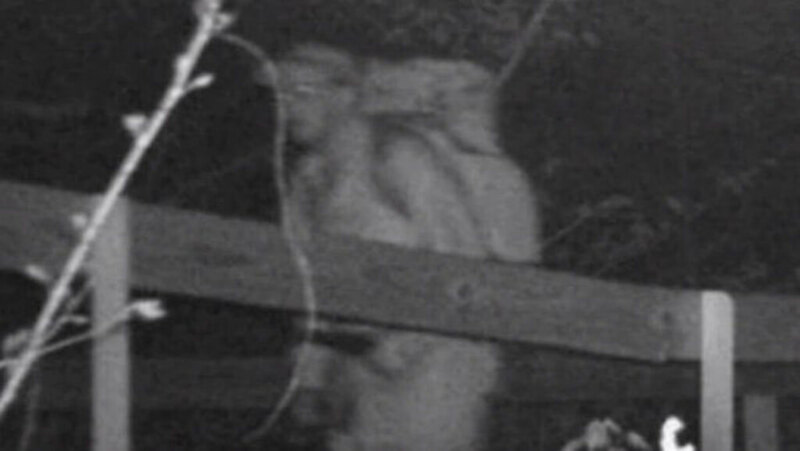 On a brisk April night just after 1 A.M., Hughes’s motion detectors went off. The hermit was at the camp. Having had this moment planned down to a ‘T’, Hughes rushed out of his home and made it to the camp in about four minutes. He crept up to the kitchen window to confirm his suspicions. He spotted a single man filling up his backpack, but the man was a little chubby and clean shaven — not what he expected. 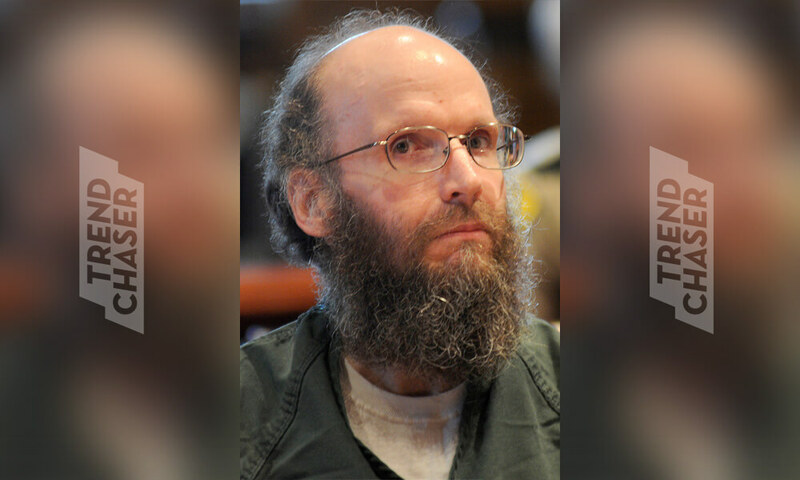 Could this seemingly normal guy be the burglar who had been terrorizing North Pond for almost 30 years? Careful to be discreet so as to not scare off the burglar, Hughes quietly called for backup. 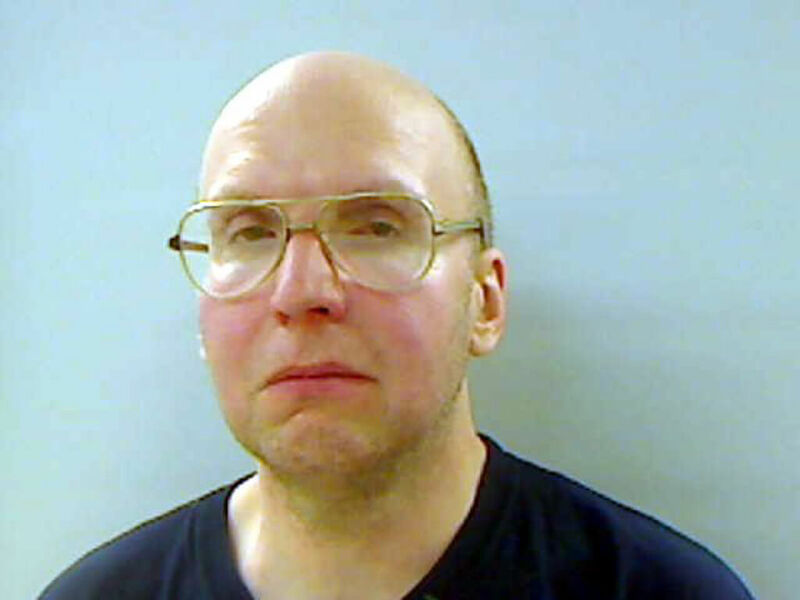 He phoned Maine State Police Trooper Diane Vance, who had also been chasing down the hermit for many years. Hughes was just a game warden, so it was Vance that actually had more authority to make a legitimate arrest. He noticed the burglar head toward an exit different from where he’d entered. 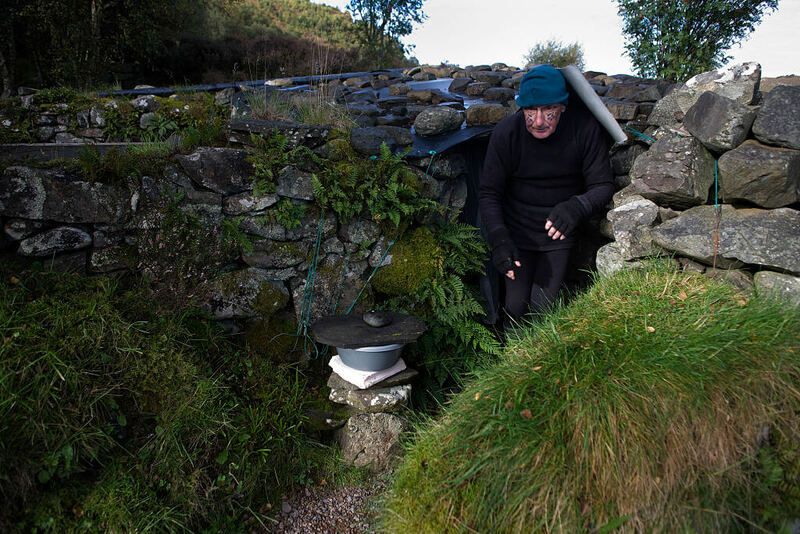 Knowing that the hermit often escaped without a trace, Hughes knew this would be his only chance to catch him. As the burglar slipped out of the dining hall, Hughes ambushed him. “Get on the ground!” Hughes bellowed. The burglar made no attempt to escape and did not resist. Candy spilled out of his pockets as he lay facedown. The North Pond Hermit was finally apprehended. Once Vance arrived, the North Pond Hermit was placed in handcuffs and they sat him down for questioning. This man was strangely pale, wore outdated glasses, and had on some lightly worn winter clothes. He was clean, didn’t smell, but had no identification. He refused to speak, so Hughes eventually left him alone with Vance. After they gave him water, he eventually started to talk. “My name is Christopher Thomas Knight,” the man told Vance. She also learned that he was born on December 7, 1965. 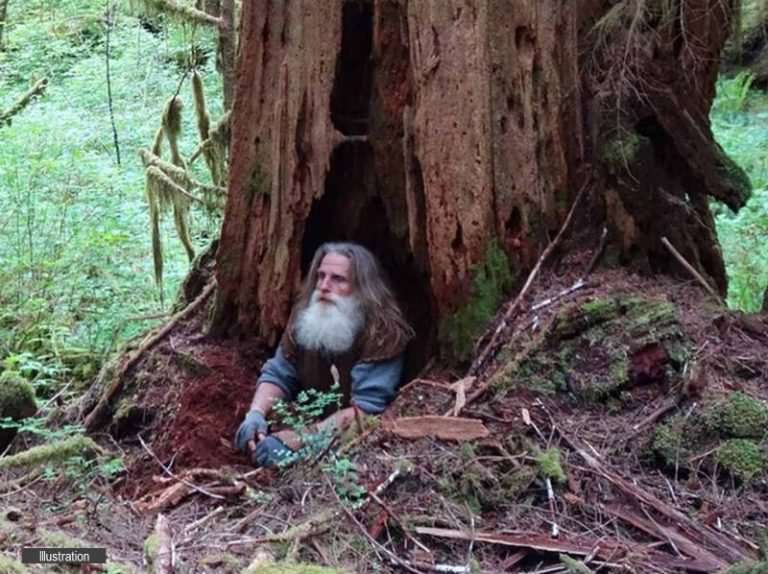 He had no address or car, and he didn’t pay taxes because he lived in the woods. Knight didn’t know how long he had been living in the woods. He stopped keeping track of months and years long before that. He did remember that the Chernobyl nuclear-plant disaster happened just before he decided to leave for the woods. That was in 1986. Knight was only 20 years old back then. He was 47 by the time he finally got caught in 2013. The truth about Knight’s background made things even more perplexing. Christopher Thomas Knight confessed to his crimes almost immediately, admitting that he was ashamed. He had committed at least 40 robberies a year, which amounts to hundreds of break-ins. Although it is a crime, it’s pretty impressive that Knight got away with this for almost 30 years. He said he never broke in when someone was home and was careful to leave little to no trace. 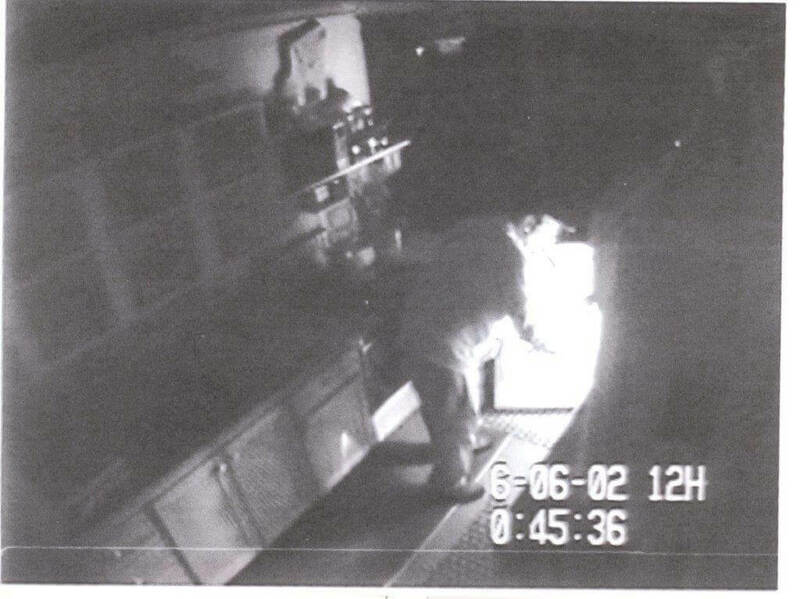 He only stole what was necessary — food, propane, clothes, reading materials. 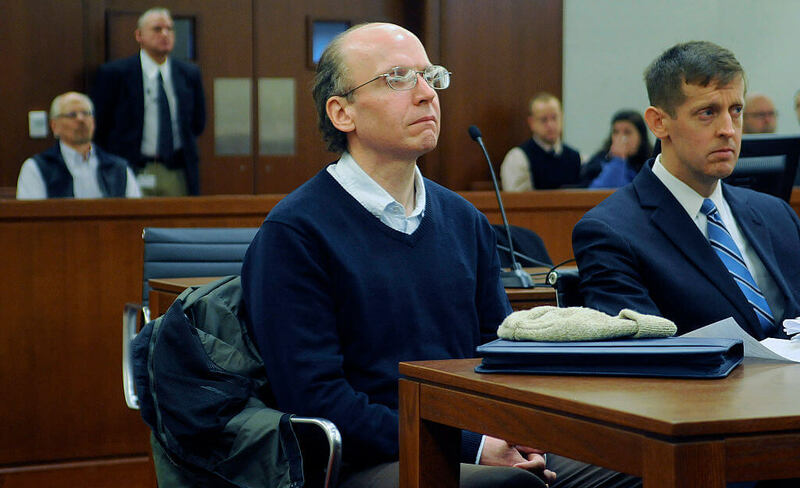 He did admit that everything he owned was stolen, except for his eyeglasses which were from the ’80s. After looking him up in the system, Vance learned that Knight had no criminal record. 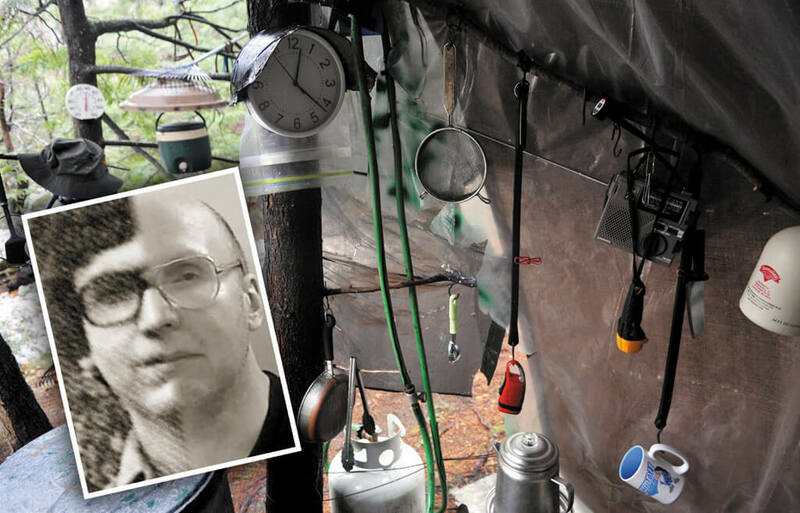 He explained that he grew up in Albion, Maine, just under an hour away from where he was living in the woods. 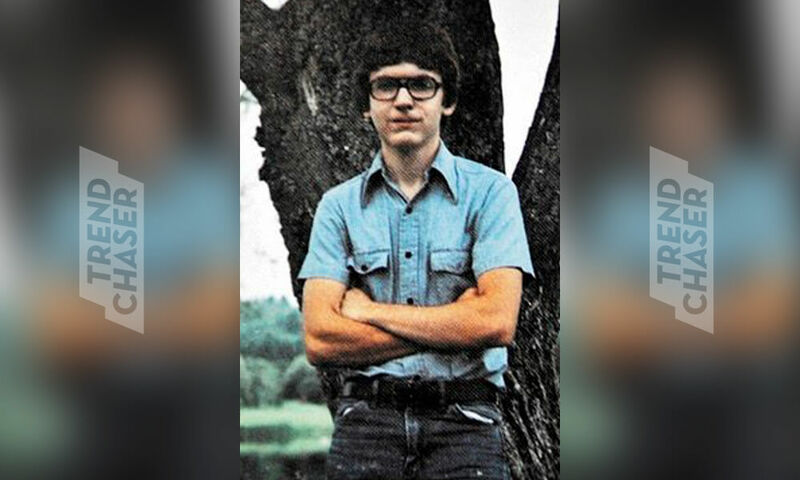 Investigators soon found Knight’s senior picture in the 1984 Lawrence High School yearbook. He was wearing the same exact glasses he had on when they found him. Though Vance was sure that Knight was not dangerous, he was still arrested and charged with burglary and theft. 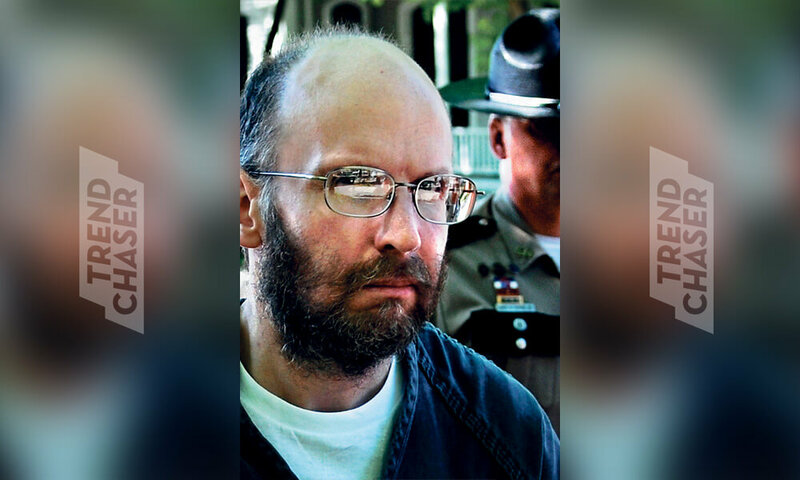 That night he was taken to the Kennebec County jail, where he slept indoors for the first time in 27 years. It’s a wonder why Knight decided to up and leave behind life as he knew it for a life of isolation in the woods. 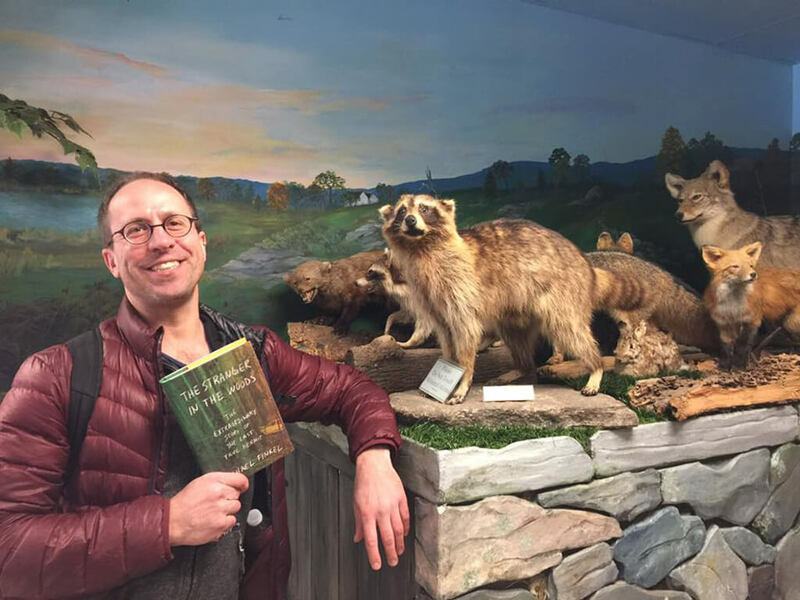 GQ journalist Michael Finkel exchanged letters with Knight and spent up to nine hours visiting him in jail to learn his story, which was later recounted in a book, The Stranger in the Woods: The Extraordinary Story of the Last True Hermit. Knight was relatively unprepared when he left his life behind, as you’ll soon learn. Knight grew up with four older brothers and a younger sister. Before going into the woods, Knight’s outdoors experiences were from moose hunting trips with his father. They’d often sleep in the back of their pick up truck, under the stars. He had good grades in high school but was a bit of a loner. After graduating early, Knight followed his older brothers and enrolled in a vocational electronics course at the Sylvania Technical School in Massachusetts. He then took a job installing home and vehicle alarm systems, skills that proved useful when he started breaking and entering. 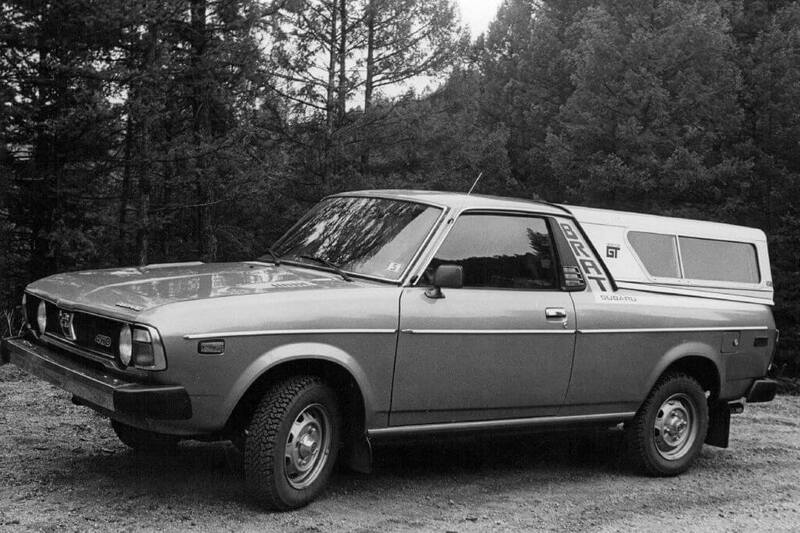 In 1985, Knight bought a brand new Subaru Brat but he wouldn’t be using it for too long. He quit his job after less than a year and drove back up to Maine, passing through his hometown without stopping. Christopher Thomas Knight’s life of solitude began in the summer of 1986. He started out by camping in one spot for about a week, before continuing on hiking south. Eventually, he lost track of where he was. After roaming around for about two years, he found the perfect spot to settle in. Nestled between boulders and shaded by maple and hemlock trees, Knight’s campsite wasn’t noticeable if people were to pass by. You really had to search for it. 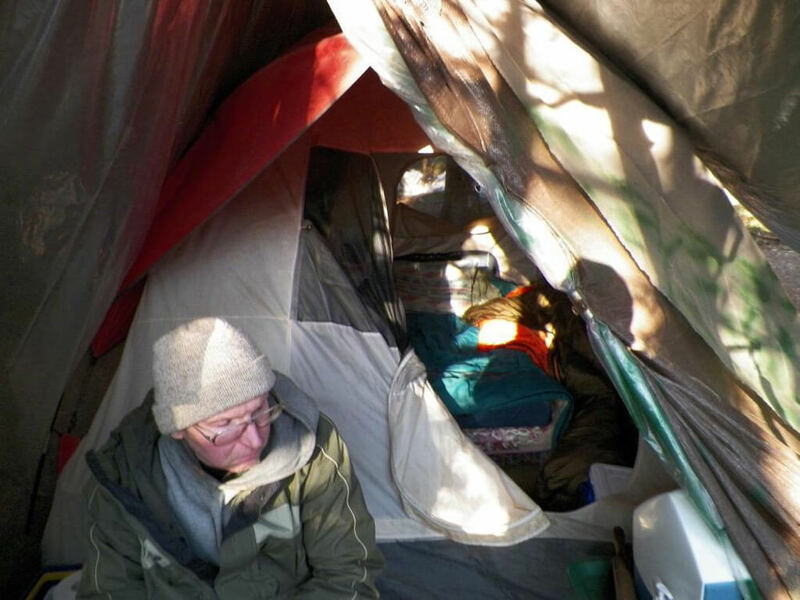 He slept in a simply nylon tent that was covered with layers of brown tarp. Camouflage was key. There was only one person who saw Knight in the woods, as you’ll soon learn. At first, Knight was able to get by foraging for food. He ate roadkill and took vegetables from people’s gardens. But he knew that he couldn’t sustain himself on vegetables alone and that’s when he resorted to stealing. 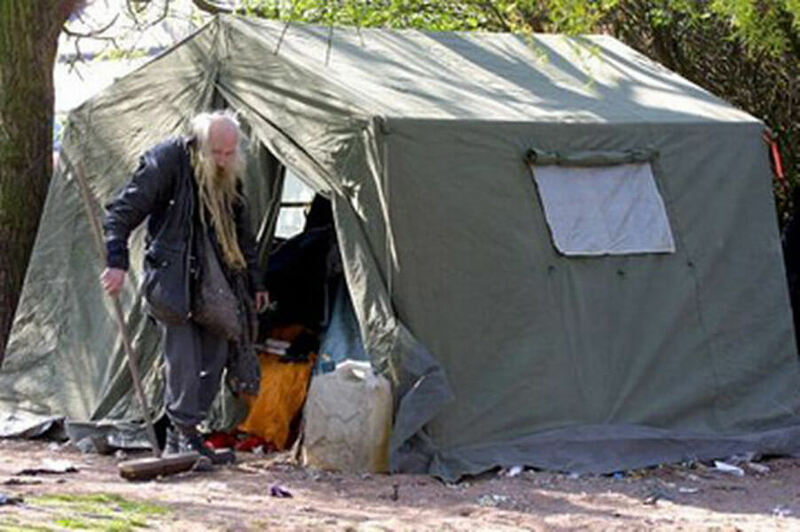 People were skeptical that Knight survived all those years sleeping outside. Some even suggested that he ought to have slept inside one of the cabins he broke into, maybe even use the bathroom. But he insisted that he never once did any of that. Knight’s campsite was in a clearing that was about the size of a bedroom. 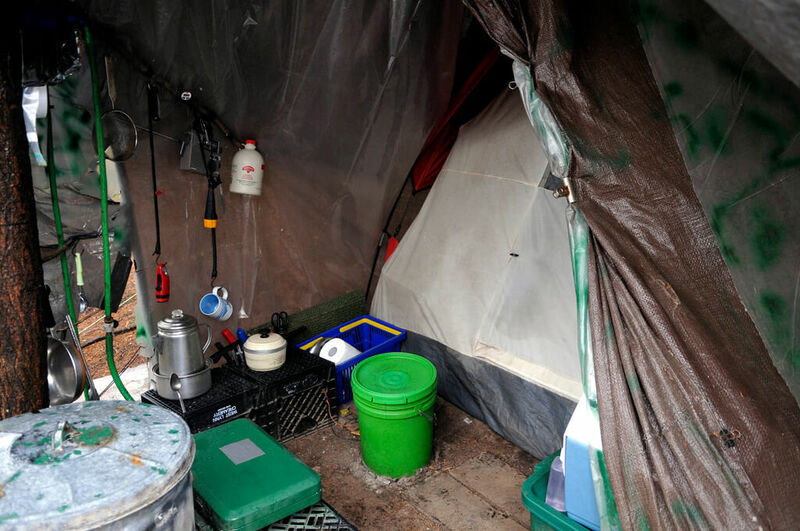 He had an area for washing up, a nearby latrine and dump site, and a two-burner stove. People couldn’t believe that Knight survived the harsh winters out in the wilderness, but he did. He spent all of the fall season preparing for it, bulking up on stolen junk food and alcohol. Knight was careful not to leave a traces of his presence anywhere he went. He’d scatter pine needles over borrowed canoes after using them and was careful not to venture out in winter, for fear of leaving footprints. He never even got sick or had to see a doctor for almost 30 years — you have to be around people to catch something. For almost 30 years, Knight truly had no contact with the outside world. The last time he encountered another human, he recalls, was in the ’90s. 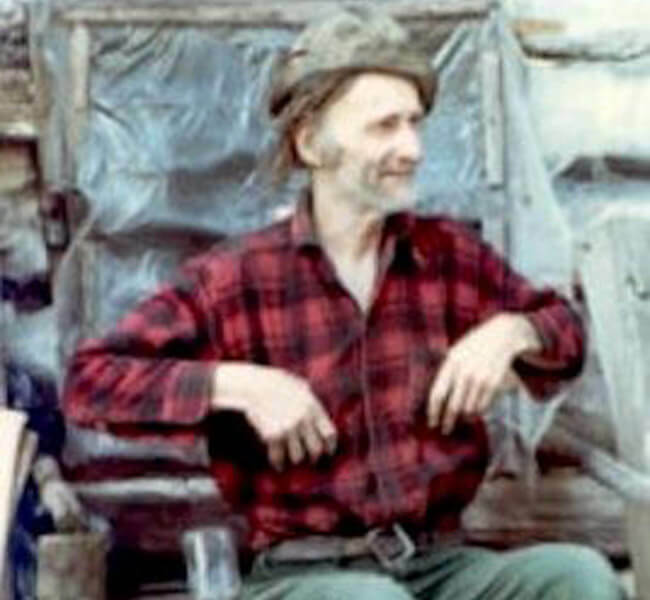 He passed a hiker in the woods and merely said, “hi.” — the only time he spoke to someone in 27 years. Knight spent months in jail while they decided what to do with him. A case like this had no precedent. Citizens who were affected by Knight’s crimes had mixed emotions once the truth was revealed. For years North Pond residents had lost their peace of mind, not knowing what or who was lurking out there. But once they found out about Knight, many of them were sympathetic. Even though they were victims in the case, sending Knight to prison was too cruel of a punishment for someone that really meant no harm and just wanted to be left alone. Six months after his arrest, Christopher Thomas Knight appeared in court and pleaded guilty to thirteen counts of burglary and theft. 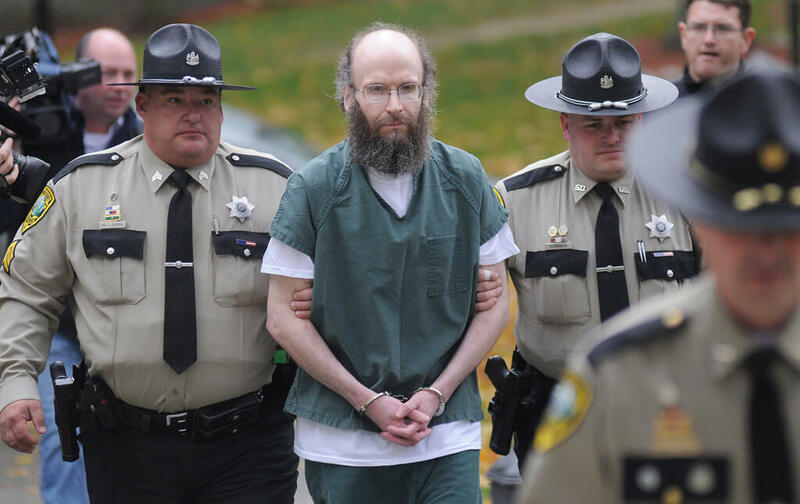 The Kennebec County Superior Court sentenced him to seven months in jail, much of which was already served while they were deliberating his case. Knight was also sentenced to two years of probation, meeting with the judge every Monday and abstaining from alcohol. Within this time, he found a job with his brother and stayed with his mother in the house he grew up in. No one really knows what’s become of him now, since he wants to continue to live as invisibly as possible. 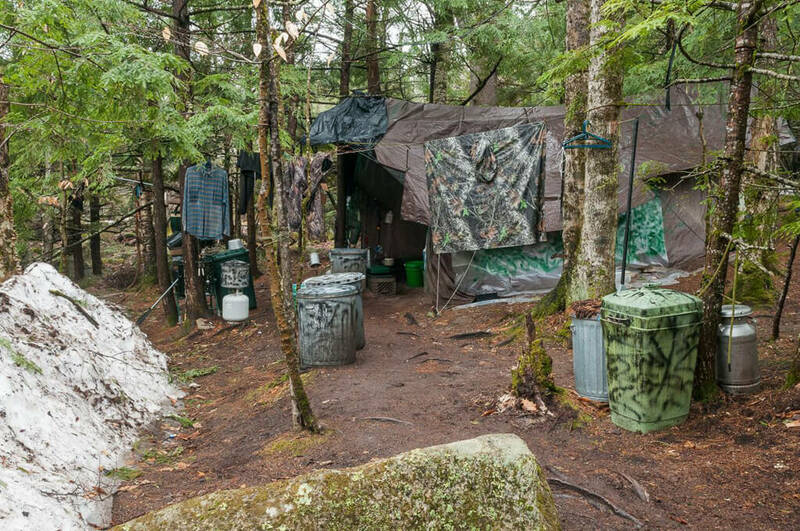 It’s incredible how long these people who’ve escaped society live on their own in the woods. A Russian family, the Lykov’s, fled their village after one of the members of the family were shot by a Communist patrol in 1936. The father of the family, Karp Lykov, decided they would try to escape being persecuted for their fundamentalist Russian Orthodox sect. There were four of them at the time, the couple and two young children, and they were determined to escape the Communists and save their lives. 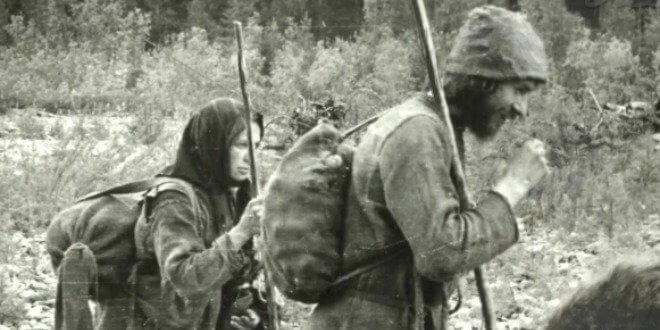 The couple decided to gather a minimal amount of their possessions and start retreating into the Siberian Forest. They must have walked for a long time because when they finally settled on a spot, they were 100 miles from the border of Mongolia. With no sign of society anywhere around, the family decided this is where they would build a shelter and live. Soon they had more mouths to feed, as the couple welcomed two more children. Now a family of six, they had to work even harder to forage food and grow whatever they were able to. They struggled, trying to survive on foods they could forage, but it wasn’t enough. When one of the sons was old enough, the family began hunting and trapping animals. This allowed them to finally add protein to their diet. Sadly, it wasn’t enough to save them. The mother of the family grew weaker and more malnourished by the day. but instead of making sure that she had enough to eat, she gave the food to her children. She died of starvation in 1961. The family would continue living in the woods for another 17 years. The decades passed on and the family remained living off the grid, away from society. 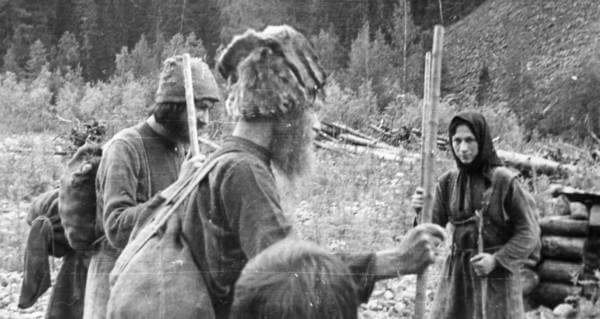 Forty years had gone by, and the Russian family had not seen evidence of any other human life, deep in the Siberian Woods. Meanwhile, back in society, the entirety of World War II played out, and with modern inventions, daily life was changing. This would make it even harder for the family to integrate back into society. But would it ever happen? 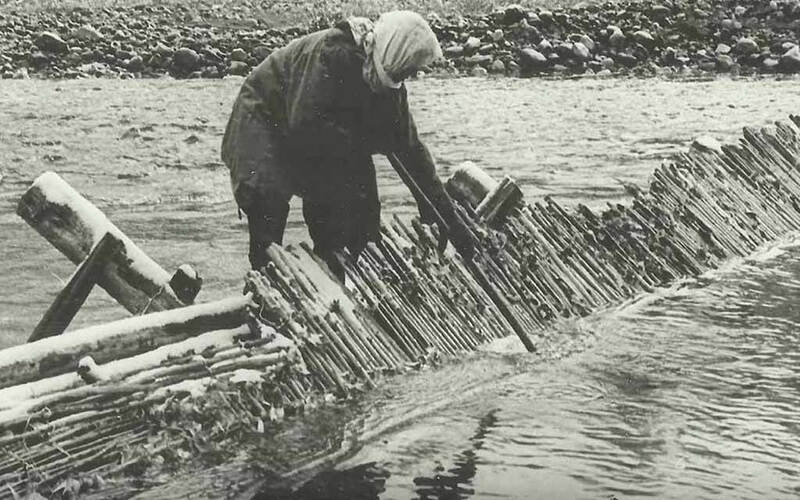 Finally, in 1978, Russian geologists headed deep into the Siberian wilderness to conduct research. What they found instead was the family of five, living out in the middle of the woods. At first, the family was shocked and extremely cautious of the geologists’ presence. But they began to trust them and tried to communicate. It had been so long that the family had spoken to anyone else that their dialect had changed, making it harder to understand them. The geologists offered them gifts, and a ride back to society. The geologists had provided the family with help and offered them a way out. Surprisingly, the family declined. They wanted to remain living away from everyone in the woods. However, the family’s health rapidly declined in the following years. Three of the four children died from kidney failure due to malnutrition. Another son suffered from pneumonia. People tried to help him receive medical attention, but he refused. 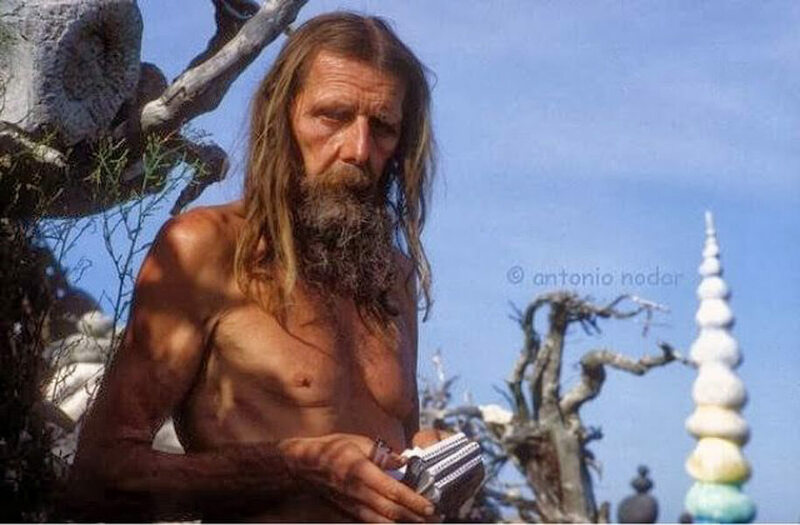 He said, “A man lives for howsoever God grants.” In 1988, the father passed away, leaving Agafia Lykov as the sole remaining survivor of the family. Now 70 years old, she lives in the woods alone. The Vietnam-American War took a massive toll on both sides. In Vietnam during the war, Ho Van Thanh lived in a village by the name of Tra Kem. Tragically, his wife and two of his sons were killed by a mine explosion. Thanh was devastated and feared for his life, and the life of his last remaining son. They retreated into the Vietnam jungle for safety and stayed there for 40 years. 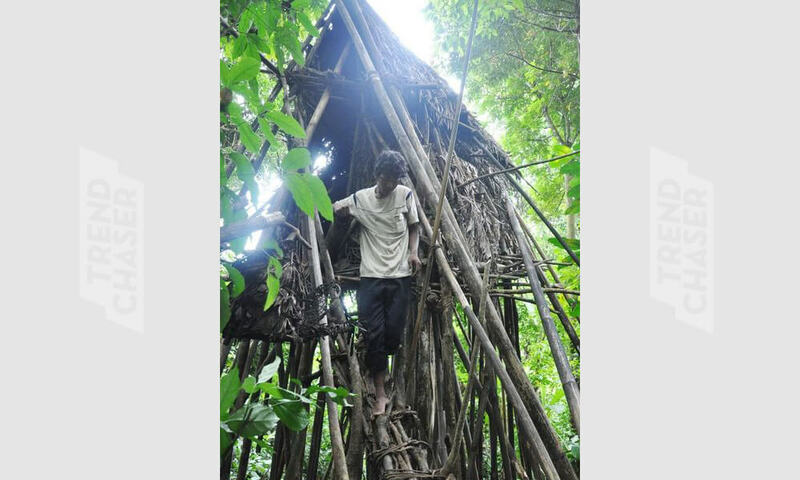 They built a treehouse and his son grew corn and foraged for fruit and vegetables to keep them alive. Eventually, in 2013, workers spotted the pair, now aged 82 and 41, and introduced them back into society. 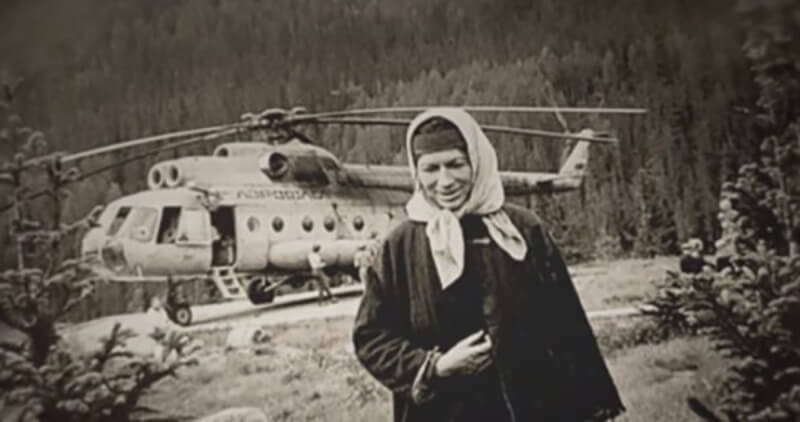 Back in 1978, geologists were on the hunt for precious minerals when they traveled to a distant Siberian wilderness. What they uncovered instead was a family of six who had been living there undetected for 40 years. The family of Karp Lykov was Old Believers. All they took with them were meager possessions and some seeds as they continually moved further and further away from civilization. Eventually, they were one hundred miles away from the border of Mongolia. 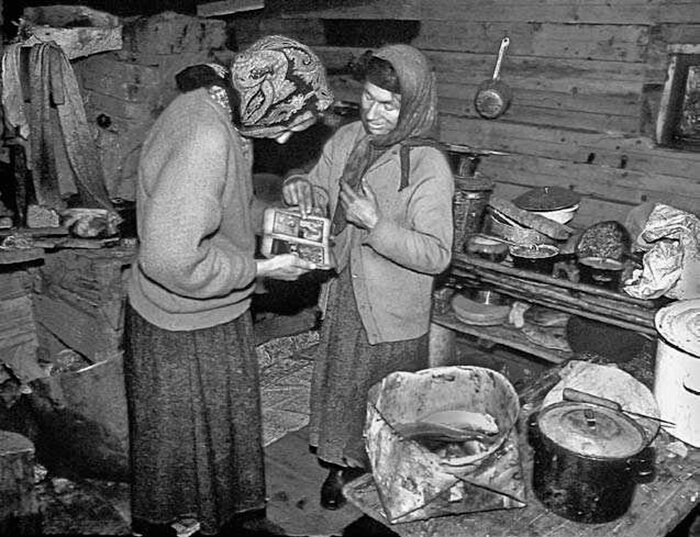 The family was malnourished so much so that the mother died of starvation in 1961. An army intelligence officer for the Imperial Japanese didn’t know when to call it quits. We don’t mean that phrase figuratively either. 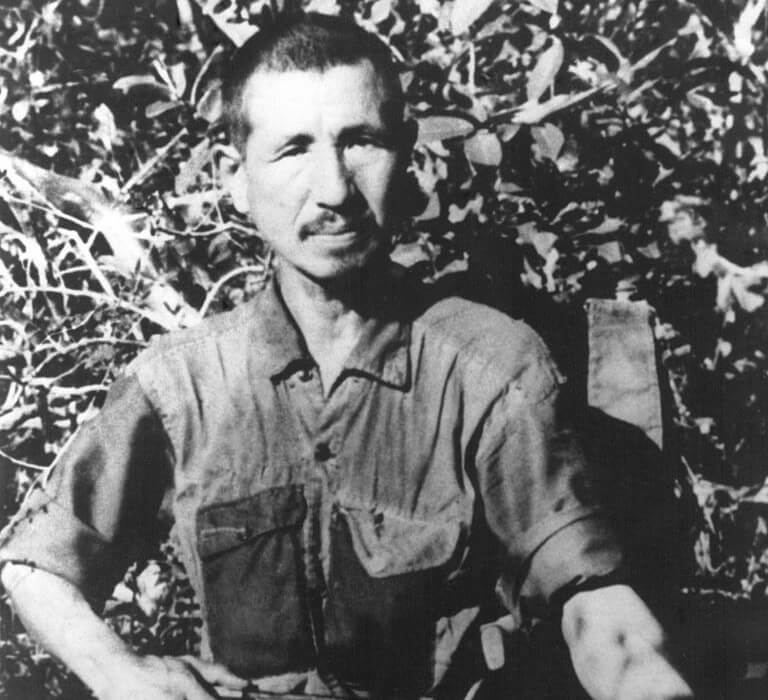 Hiroo Onoda fought in WWII but didn’t surrender in 1945. As the story goes, Onoda held his position in the Philippines for nearly 30 years! It wasn’t until his former commander flew over there from Japan to personally relieve him of his duties. That’s a level of dedication that you don’t see every day. 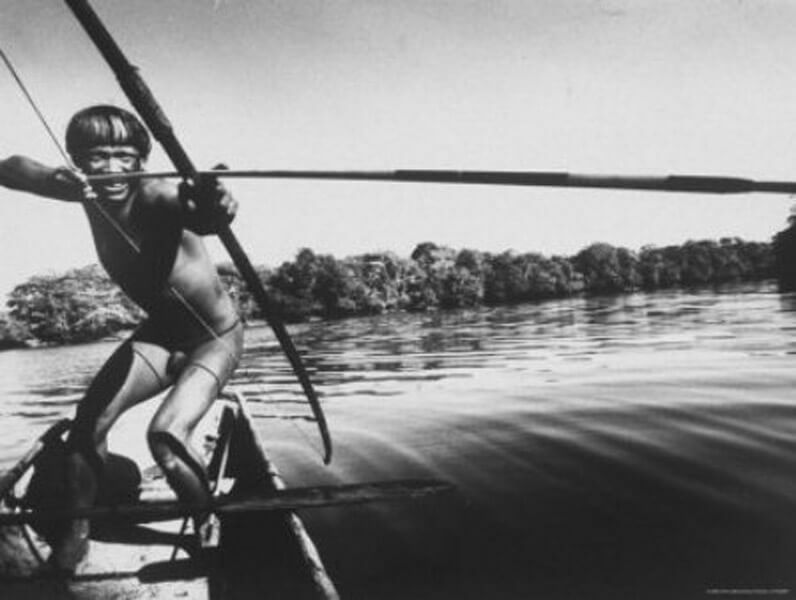 Over several decades ago, Brazilian officials found an Indian man who was likely the final survivor of a tribe. He was all alone in the Brazillian rainforest. They didn’t know what to do with him once they found him. They tried to be peaceful, but the man shot an arrow into the chest of one of the officials. The land around the man was starting to become industrialized, so he was losing ground. That’s when government officials declared thirty miles around him not to be touched. Today, he is still alive. 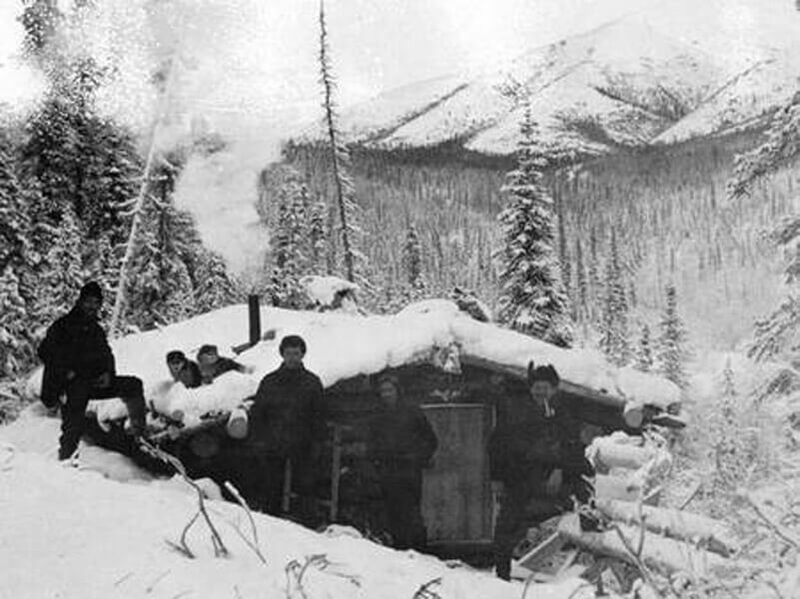 Richard Proenneke chose an interesting path after retiring from the Navy and diesel mechanic. 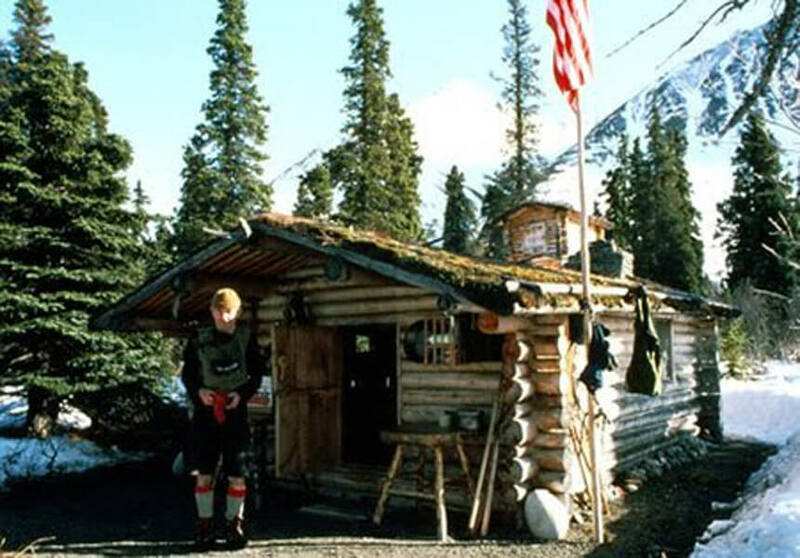 What he did was build a cabin high in the Alaskan mountains in Twin Lakes. He lived there for alone for thirty years. 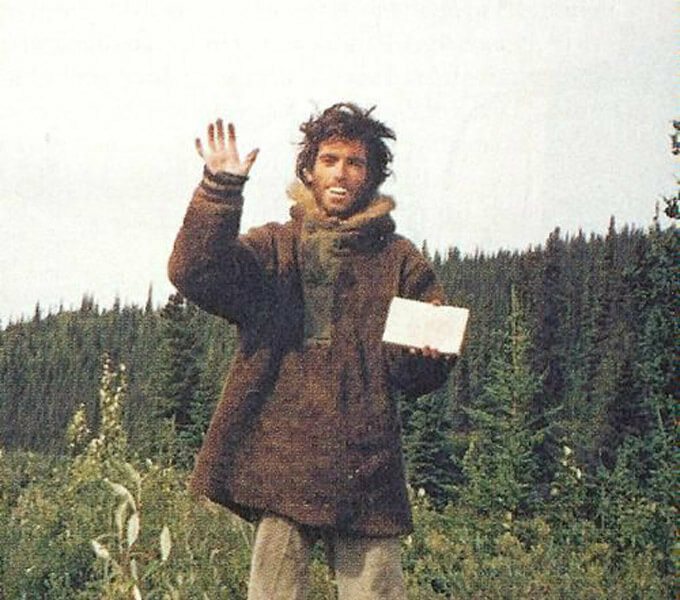 Throughout his time there, he would leave Alaska a few times to visit family, but the majority of his time was spent alone. He spent his time hunting, fishing, and studying. Meanwhile, he kept a recording of his time in solitary life. 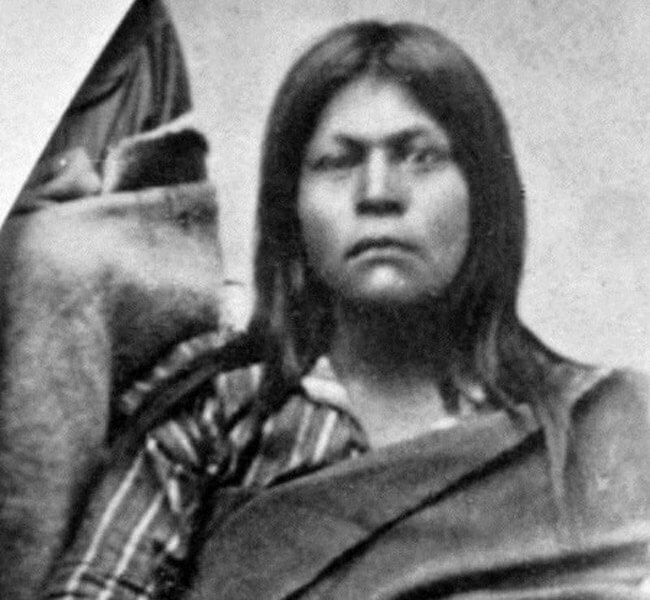 An island called San Nicolas had all of the Indian inhabitants forced out back in 1835. One woman refused to leave because she said her child was missing. This woman disappeared from sight and wasn’t seen again for almost twenty years. In 1853, hunters encountered the same woman. Sadly, she never found her child and she spoke a language no one understood. She had a nice smile about her so she would charm everyone she encountered. The hunters brought her back to the modern land and she was astonished. There were a small group of people that purchased some land in Wales. They lived off the grid for years until the government came and questioned their right to live there. After a decade-long battle happened, it was proven that they did have the permissions to live on that land. His final stop was Fairbanks, Alaska, and he arrived there on April 28, 1992. Four months after he made it there, his frail body was found. He died from starvation and only weighed 67 pounds. This story has been adapted into the movie called Into The Wild. Born in 1914, Everett Ruess spent his whole life alone, so no one knows when he died. 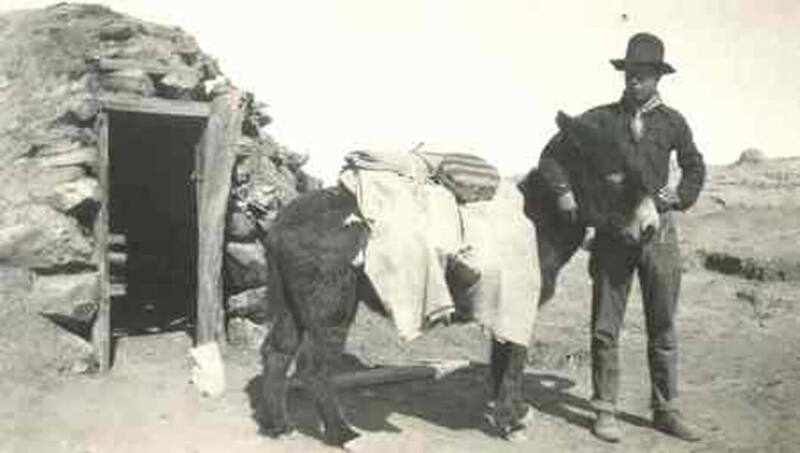 Ruess was an artist of many talents and spent most of his time exploring nature by foot and horseback. You would most likely find him in the High Sierra in California and the deserts of the southwest. He vanished in the late ’30s when he was just 20. Ruess was one of the first to reach out to Native Americans and live among them. He wouldn’t spend more than two days with people and kept a diary outlining how he didn’t like to be a part of any formal civilization. They say Lepperd by name, but Leopard by nature. Before moving out to solitude, Lepperd paid to have his entire body covered in leopard spots. He even had leopard eyes tattooed over his eyelids. He then traveled to the Isle of Skye in Scotland. Lepperd went through a lot before his life alone began. They say that’s the reason why he turned his back on society. He moved to a small cabin and collect a state pension from the local city he traveled to by kayak. This has been going on since 1934. Willard Kitchener MacDonald was born in Somerville, Massachusetts and he was a pacifist. He didn’t want to fight in World War II so one morning in 1940, MacDonald walked into the wild of Nova Scotia. He was there for more than 60 years. Eventually, his cabin was destroyed thanks to a forest fire in 2002. 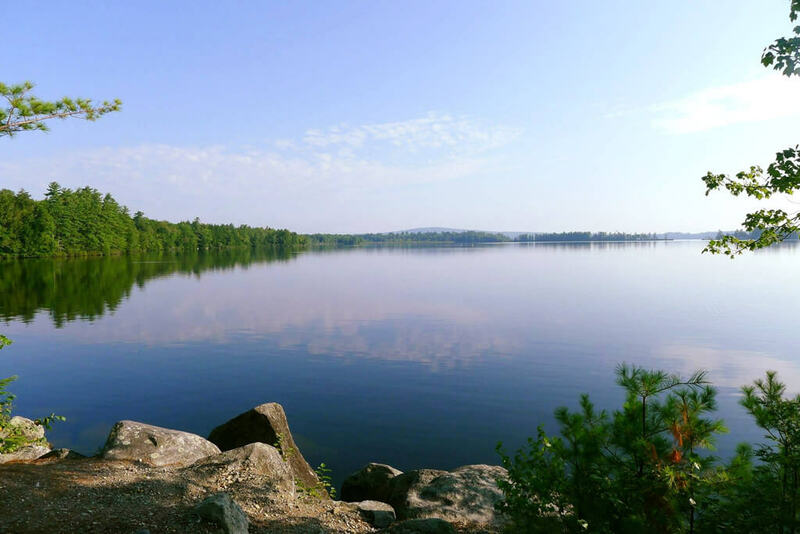 Usually, officials try and get rid of hermits, but Gully Lake reacted oppositely. They ended up building him a new hut in 2003. He couldn’t settle there and ended up fleeing back to the woods. His body was found in 2004. Manfred Gnadinger was born in 1940 out in Germany. He soon became known as just Man upon moving to a small village on the Costa da Morte in Galicia, Spain. He was a sand sculptor who would put together large sculptors on the beach. Man was completely happy with living in his 2 x 3 cabin and eating foraged food. Wearing nothing but a loincloth, his hermit life became tarnished after the 2002 oil spill of the Prestige. He locked himself in his cabin after the beaches were tarnished and was later found in their dead. Robert Harrill had nothing to lose. He bounced around from one dead-end job to another and had many bad relationships. Heading into his sixties, he turned his back on regular society and moved to an abandoned World War II bunker in North Carolina. 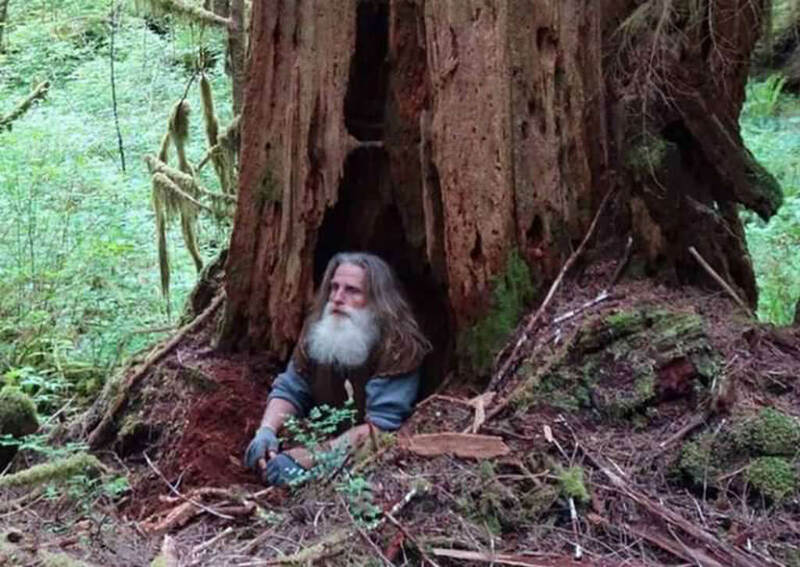 Then he became known as The Forst Fisher Hermit. He lived off vegetables he planted himself and oysters he caught from the sea. 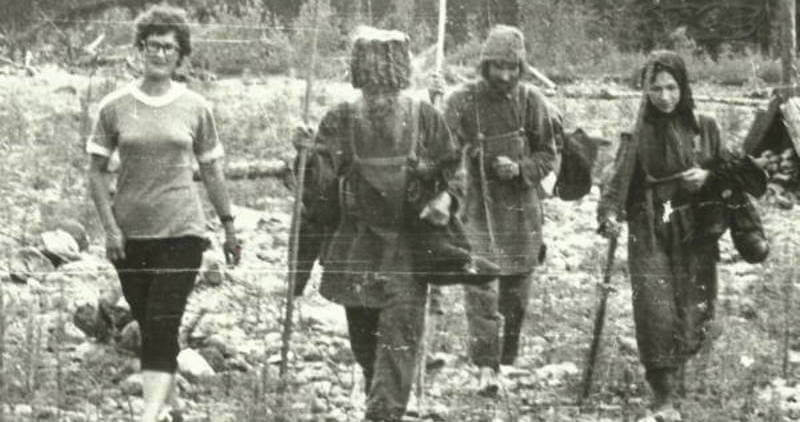 Unlike many other hermits, Harrill didn’t shy away from the spotlight and at one point became a top tourist attraction in North Carolina. He eventually died from cardiac arrest but many believe it was the doing of a local gang. Józef ‘Fred’ Stawinoga was from Wolverhampton, England and was quite the popular one. However, he made it hard to miss him because he was so secluded. 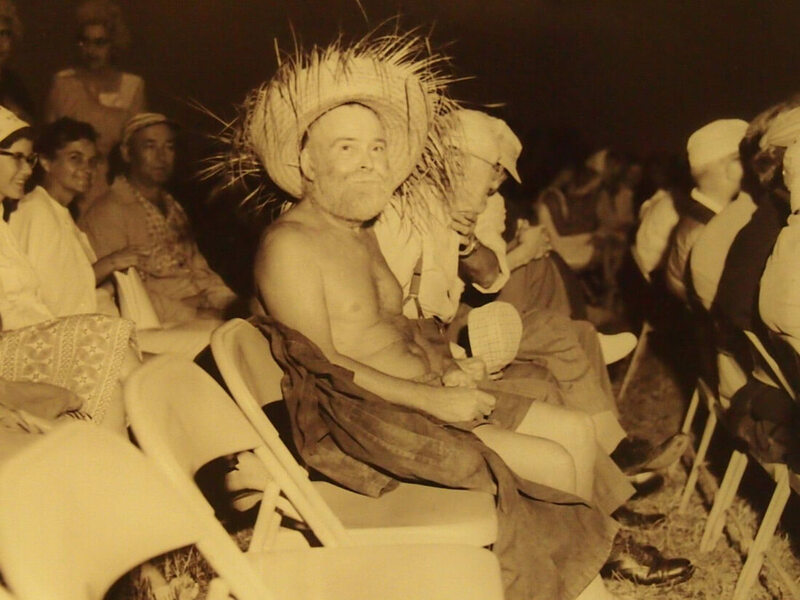 Stawinoga stayed in a tent on an island in the middle of the Ring Road for 40 years until his death. At one point, local Hindus began to honor him as a holy man, and Wolverhampton Polytechnic gave him an honorary degree. He fought against the Soviets in Poland back in 1939 before fleeing to England in the late ’40s. He passed away in 2007.